Back in the 1920’s and early 1930’s America entered into a time known as the Prohibition Era. This was a complete ban on alcohol both in the United States as well as Canada. While this meant as a way to decrease crime rates, it ironically lead to a skyrocketing of gang activity and underground alcohol production. One major aspect that came out of the Prohibition Era was the birth of the speakeasy. While they were illegal during this time, today they are now a fun theme many bars adopt. Downtown Las Vegas is home to many different bars, but one that stands out as a true speakeasy is the Sidebar near the Downtown Grand. Sidebar, a speakeasy-themed, watering hole is secluded away in the heart of downtown right between Hogs and Heifers Saloon and Triple George Grill. You will feel as if you just stepped back into the roaring 20’s with the classic motifs and signature cocktails. Staying true to the times, Sidebar are best known for their handcrafted cocktails. You will have the opportunity to appreciate the classics such as an old fashioned and Manhattan made fresh and with the freshest ingredients. If you are not really feeling a lively cocktail at the moment, Sidebar also offers up a wide selection of craft beers. No matter what you taste, Sidebar can deliver with style. 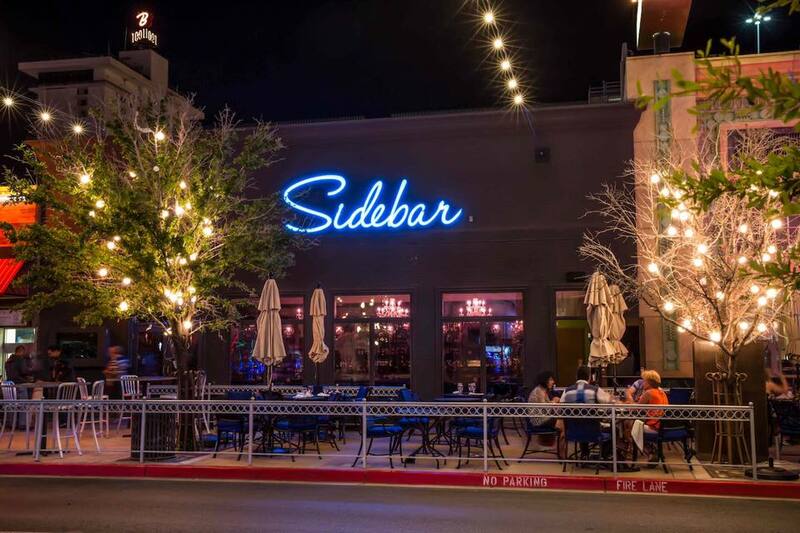 Just as the speakeasies operated in the 1920’s, Sidebar in Downtown Las Vegas operates under limited hours. You will only be able to enjoy signature cocktails and great food Thursday through Sunday between the hours of 10 p.m. and 3 a.m., making this bar the perfect place to round out your Downtown Las Vegas bar crawl. Want to experience the ultimate Downtown Las Vegas adventure? Vegas Pub Crawler offers a unique, fun – guaranteed experience. Whether it is a birthday party, bachelor-bachelorette party or any occasion, pub crawling via a pimped-out, multi-rider cycle. Book your next pub crawl with Vegas Pub Crawler today.